Godafoss is a waterfall on the river Skjálfandafljót, which runs through a 7,000 year old lava field in northeast Iceland farmland. 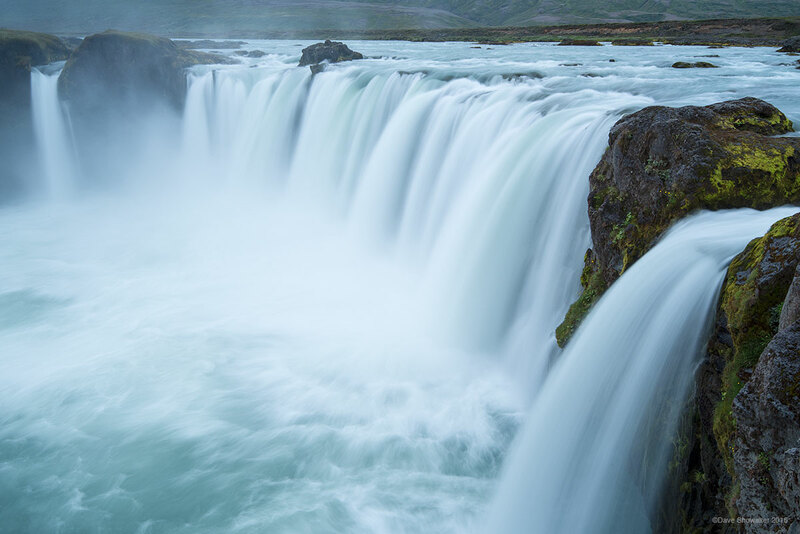 When Iceland converted from Heathendom (old custom) to Christianity, the local chieftain tossed his deities/heathen gods into the falls; and according to legend, how Godafoss got its name. Photo © copyright by Dave Showalter.